direct to you, no matter where in Perth. Who doesn’t love a crispy yummy pizza? 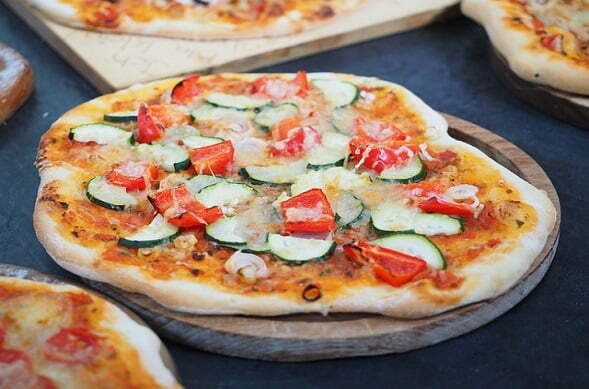 Wood fired pizzas are a favourite of almost everyone, especially at events. Well, what if we told you we could not only bring wood fired pizza to you, but also bring an array of different colours, flavours and smells? The flame is one of the essential elements for delivering excellent all-round pizza because that is what directly makes the crust rise and without the fire the pizza will remain flat and tasteless. Our mobile pizza business is owned and run by our family. Our business has an adamant passion to create a truly unique experience for our customers and therefore you are sure to get high value for your money. We focus on the quality of our product and hand pick the best ingredients that are available locally. For examples the meats, the veggies, the cheese, etc. are the best that you will find on your pizza, and there is simply no compromise on quality. Pizza is one of the most famous foods in the world. It’s a great hit at informal gatherings, and you’d be hard-pressed to find someone who doesn’t like it. As any food connoisseur knows, the best way to make that savory crust and delectable toppings are in a brick oven, over a wooden fire. So when you have an event, you might go with Pizza Catering Perth WA. It’s excellent for things that aren’t big enough that you have to go with a full formal menu, but impressive enough that it’s not just another get-together. Our wood fired oven on wheels is where all of the magic happens. It cooks the pizzas perfectly, consistently and adds so much flavour. Though it appears simple to do our pizza catering team have done lots of training and years of experience. Allowing us to give it the professional’s touch, to produce the experts taste. 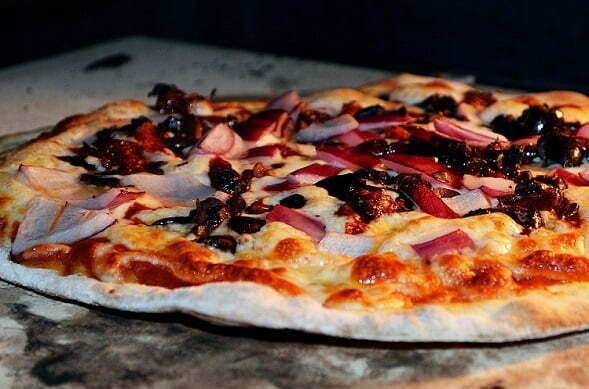 Pizza Catering Perth WA merely offers you the best service in mobile pizza catering in Perth. For a cost that you will be blown away by. The price for hiring our mobile wood fired pizza oven regardless of the event is not that expensive either. We base our prices off the number of guests who will be at the event. The advantage of this is that everyone can be catered for and enjoy delicious pizza. What you pay for is prime access to a wood fired oven, our personal chef & assistant and over 20 different types of pizzas. These include entrée, main and dessert pizzas, serviette and serving platters, as well as a whole other range of wood-fired foods available. we can accommodate to large groups of people without taking up too much room at the venue. This makes our mobile services even more accessible, efficient & reliable.We create our magical pizzas with a broad selection of meats, vegetables, & other toppings including cheeses, herbs & more. We bring our mobile wood fired catering oven direct to you, no matter where in Perth. We then set up our temporary kitchen and right in front of you create and bake our delicious Pizza’s however you like them.We’ll bring a wood-fired pizza right to your door and serve it to your guests the way the Italians make it. 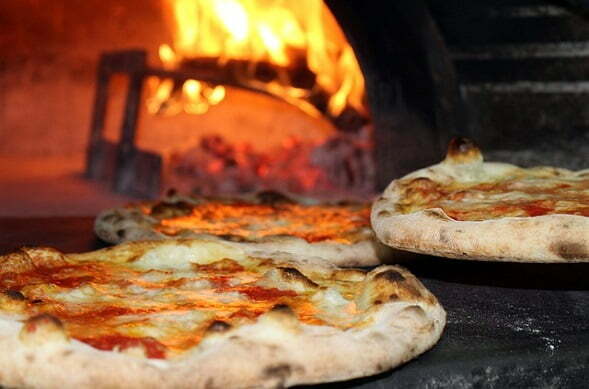 Mobile wood fired pizza catering is also becoming a very hot trend now days and is specially picking up pace in Perth. At Pizza Catering Perth WA or wood fired mobile ovens only need an hour or two to set up before the guests arrive and then from there wolah pizza. Pizza Catering Perth WA’s mobile wood fired pizza is absolutely fantastic. The pizzas were so fresh and so delicious, everyone thoroughly enjoyed them, and were going back for more. The wood fired Pizza oven makes such a difference. We have used several caterers with not a whole lot of satisfaction, but Pizza Catering Perth WA absolutely nailed it. The Pizza caterers were very friendly and accommodated us with everything we needed and much more. The taste was awesome, and it was the perfect food to share around at our event. I definitely recommend these guys. They were a hit with our guests and they left everyone craving more. The caterers were on reliably on time, were very friendly and provided some great atmosphere. Would definitely recommend. With great food, great people and a great price we really couldn’t have asked for more. We loved it. Pizza Catering Perth WA have provided us with delicious wood fired pizza service several times now. There mobile service is hands down the best in Perth. We provide you with yummy tasty delicious pizzas for your event no matter where it is, how many people, or the types of Pizza’s desired. All you need to do is provide us with information and we will take care of the rest. 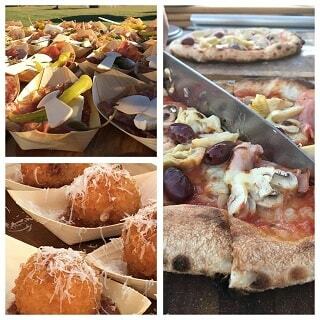 We guarantee that you as the host or a guest of the event, are bound to enjoy and be treated by the smells, flavours and sights of traditional wood fired cooking from Pizza Catering Perth WA from the word go. We are committed to your satisfaction and will not settle for anything less. So contact us now. The kind of flame that comes from a wooden fire is essential for creating the best possible pizza crust, but it’s not the only ingredient. Just like a good pizza has cheese and sauce and toppings, a good caterer has a lot of parts. Chefs, service personnel, and the like are all essential. Pizza Catering Perth WA makes sure that everyone it hires, from the staff that your guests will never see the chefs that make the pizzas, is the best at what they do. They will cater to your needs and requests with efficiency and professionalism. No matter what your event, the pizzas, and the service will be a rousing success. Fresh pizza is a great treat, and it gets no fresher than a slice or a whole pie cooked to perfection right in front of you. Pizza Catering Perth WA has equipment that can handle almost any size event, but still small enough that it doesn’t get in the way. We’ll prepare everything, from the dough to the toppings, right at your location and fire the oven up right in front of your guests. Topping selection is no slouch, with an assortment of meats, vegetables, herbs, cheeses, and more. All of our ingredients are locally sourced and super fresh, with the pizzas cooked fresh, and that’s what makes us stand out from our pizza competitors. The standard package from Pizza Catering Perth WA involves setting up two hours before the event, so we have plenty of time to get the oven warm. Don’t want to keep hungry people waiting, right? There’s a small selection of appetizers available before the main pizzas get fired up. Our menu includes, but is not limited to, meat, chicken, seafood, and vegetarian pizzas. All you can eat for all your guests, so nobody goes home hungry! What are you waiting for? Get Pizza Catering Perth WA to do your next event now!